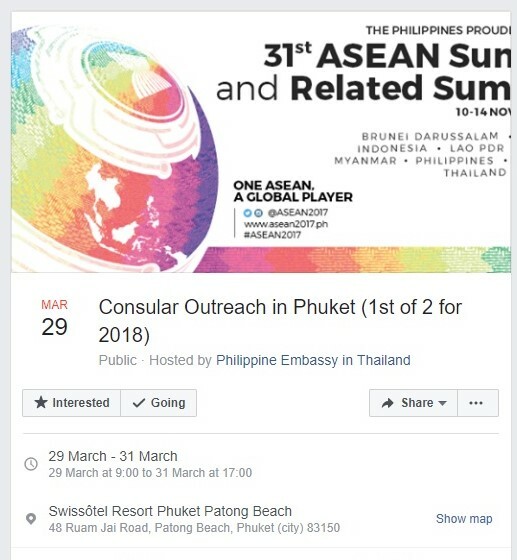 A consular outreach in Phuket has been scheduled by the Philippine Embassy in Thailand on March 29-31, 9:00am to 5:00pm, at Swissotel Resort, Patong, as detailed on their Facebook post. 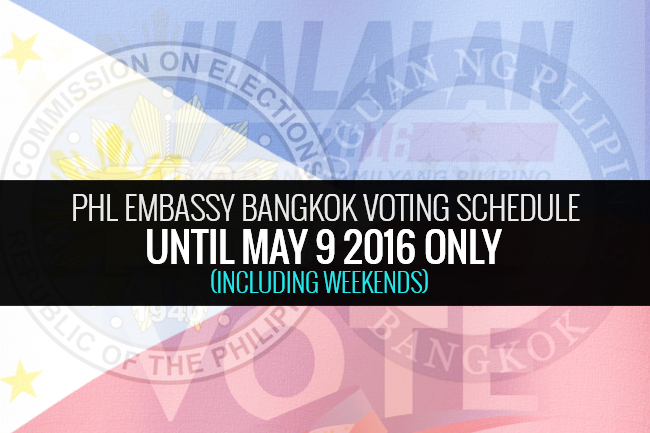 The embassy in inviting public to avail of the said consular services during their outreach program in Phuket. 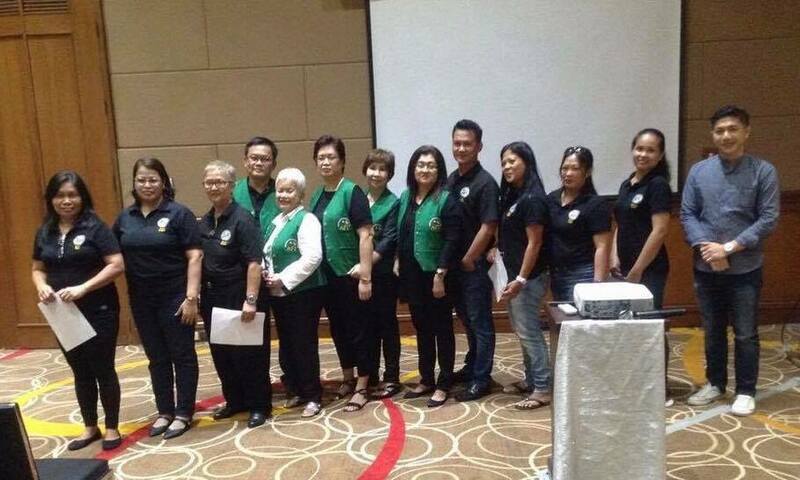 The post continues to ask the Filipinos planning to join the said outreach to “send in their names, contact details, the service they wish to avail and a suggestion for the location of the outreach to bkkpe.consular@gmail.com to allow the consular team to prepare accordingly”. If no email was sent, you may still join the outreach as walk-in clients. A first come, first serve queuing system will be observed. 1. Passport application (which includes new applicants, renewal, lost or damaged passport replacements) – also bring original passport and a photocopy of the passport data page. For lost passports, bring a police report with English translation. 2. 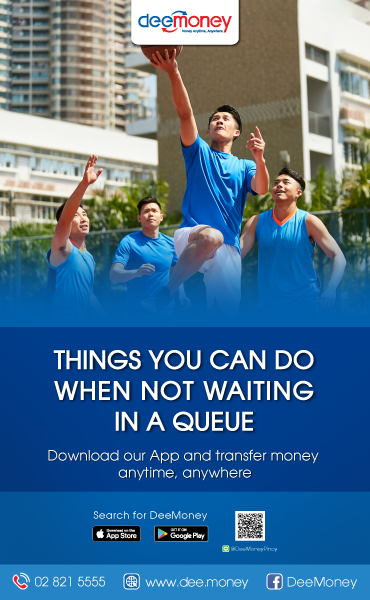 Passport Release/Claim – kindly verify through the link if your passport is ready for pick up. 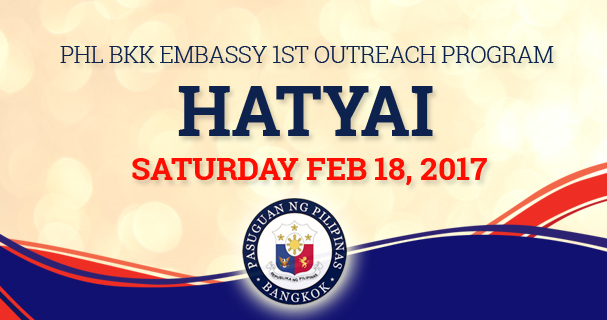 If your name is on the list, send an email request to bkkpe.consular@gmail.com with your name of the passport applicant, official receipt number and contact number. 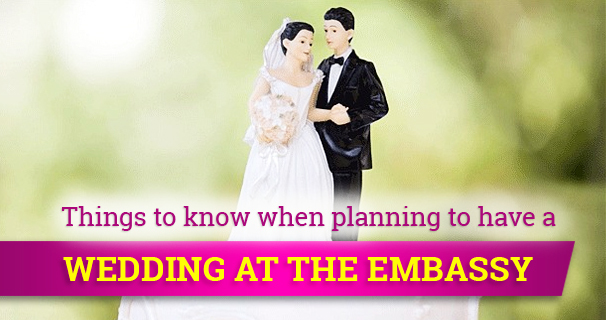 Once the email is sent, wait for a confirmation message coming from the embassy. Bring the following: Original and photocopy of your passport and one (1X1) ID photo. Bring the following: Original and photocopy of your passport. Bring the following: Bring English translated certificates issued by Thai authorities and also have it authenticated by the Thai Ministry of Foreign Affairs. 6. Notarial Services (Authentication, Certification, Acknowledgement, Affidavit, Special Power of Attorney)Bring the following: 2 sets of photocopies of the documents needed to be notarized, original copies of the documents to be authenticated must also be presented. 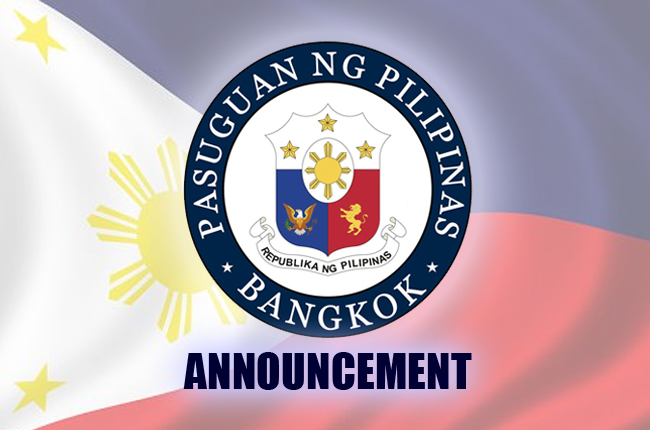 Please contact through the official website at www.bangkokpe.dfa.gov.ph and Facebook page www.facebook.com/bkkpe for more information and details.